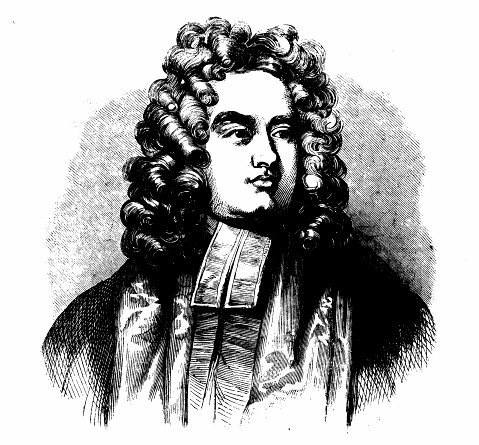 Jonathan Swift (30 November 1667 – 19 October 1745) was an Anglo-Irish satirist, essayist, political pamphleteer (first for Whigs then for the Tories), poet and cleric. He became Dean of St. Patrick's Cathedral in Dublin. He is remembered for books and poems he wrote like: Gulliver's Travels, A Modest Proposal, A Journal to Stella, Drapier's Letters, The Battle of the Books, An Argument Against Abolishing Christianity, and A Tale of a Tub. Swift is probably the most well known prose satirist in the English language. He is less well known for his poetry. 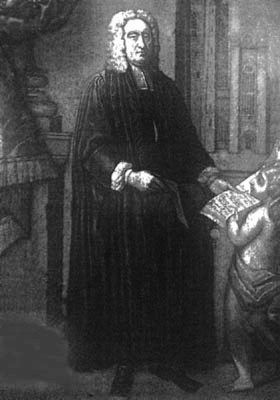 Swift originally published all of his work under pseudonyms — such as Lemuel Gulliver, Isaac Bickerstaff, M.B. Drapier — or anonymously. He is known for being a master of two styles of satire; the Horatian and Juvenalian styles. John Ruskin named him as one of the three people in history who were the most influential for him. Swift died on 19 October 1745. He was 77. The bulk of his fortune (£12,000) was left to found a hospital for the mentally ill, originally known as St Patrick’s Hospital, which opened in 1757, and which still exists as a psychiatric hospital. 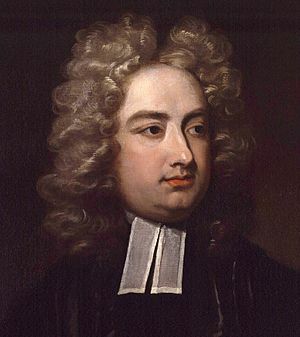 Jonathan Swift Facts for Kids. Kiddle Encyclopedia.